Hubbell-Wiring SnapConnect® Autoguard™ 2-Pole 3-Wire Heavy duty self-test GFCI receptacle has a current rating of 20-Amps and voltage rating of 125-Volts. It has a frequency rating of 60-Hz. This grounding receptacle has back and side wired terminal. 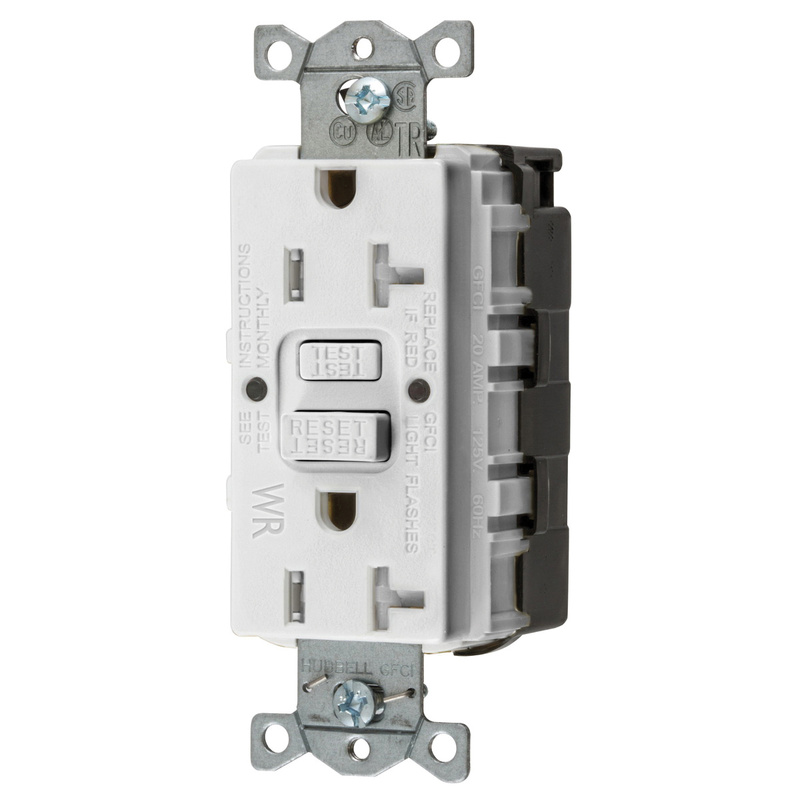 This NEMA 5-20R configured receptacle features 12-AWG conductors. It has a trip level of 4 to 6-Milli-Amps and trip time of 0.025 sec. This commercial grade receptacle in white color, has nylon construction for added strength and durability. It has a maximum load capacity of 1 hp. The standard receptacle has brass contacts and zinc-plated steel strip. It measures 1.77-Inch x 1.47-Inch x 3.27-Inch. It is suitable for suitable for commercial applications. The receptacle meets UL943 Class A, CSA, NEC and CEC, NEMA WD-6 ANSI 73 standards.